In celebrity news, celebrity exes Justin Theroux and Jennifer Aniston will mark their one-year anniversary of their post-Valentine’s Day announcement of their divorce. Despite their break-up, Theroux wished his ex a very happy birthday in an Instagram post. On Monday, he captioned a photo of Aniston holding a pair of bull horns above her head with her muscular arms, saying “Happy Birthday to this fierce Woman.” It is unclear if Aniston received the well wishes because she doesn’t have an Instagram, but one of their mutual friends commented on his post. So, chances are she gladly got the message. It seems these celebrity exes are keeping things amicable post-divorce. What are some reasons to remain civil with your ex after a break-up? 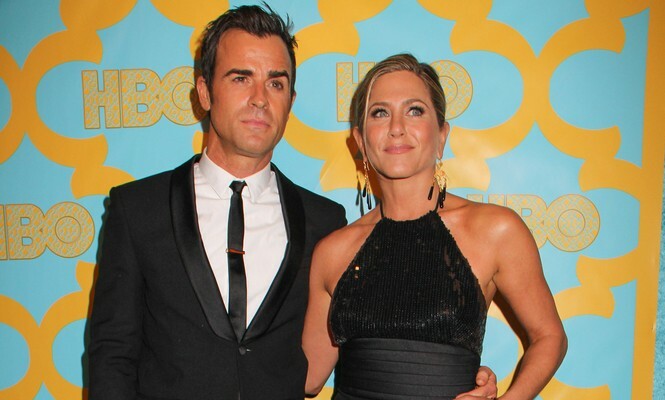 In celebrity news, Justin Theroux discussed his split and previous celebrity relationship with Jennifer Aniston. The celebrity couple wed in August of 2015 and separated in February after less than three years of marriage. In an interview with EOnline.com, Theroux said, “The good news is that was probably the most…it was kind of the most gentle separation, in that there was no animosity.” Theroux and Aniston remain friends even after their split. Justin Theroux characterized his split from celebrity ex Jennifer Aniston as “gentle.” What are some ways to keep the animosity out of your break-up? In celebrity news, Justin Theroux was spotted with his co-star from back in the day, Aubrey Plaza. According to People.com, they were photographed in New York City and went to Theroux’s apartment. “They met to discuss a potential film project,” a source said. As for his relationship with Jennifer Aniston, the two continue to be friends after their celebrity break-up. Justin and Jennifer’s celebrity break-up is fairly new, but it looks like at least one of them is moving on. What are some things to consider before moving on after a break-up or divorce? The Jennifer Aniston and Justin Theroux celebrity break-up has been the latest celebrity gossip in everyone’s ears the past few days. According to UsMagazine.com, in order to decrease speculation, a source explained that cheating didn’t play a role in the celebrity break-up between Aniston and Theroux. “The split is very mutual. 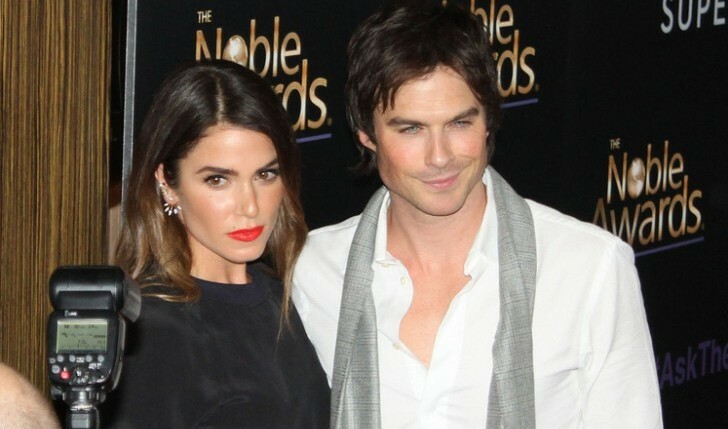 They truly want each other to be happy and wish the best for one another,” the source said. “Cheating is not the reason for the split and did not happen.” A source also said that even though cheating did not play a role in this split, distance may have. This celebrity break-up didn’t involve a cheating scandal. What are some ways to know if your partner is cheating? …Click here to read more from Dr. Greer! …Want more interesting information? Click here! In latest celebrity news, it turns out that Justin Theroux did not view his celebrity marriage to Jennifer Aniston as a necessity. According to UsMagazine.com, a source said, “Justin was absolutely head over heels in love with Jen — and probably always will be — but marriage was never important to him.” The source further explains, “Marriage was always just a piece of paper to Justin, and he didn’t need it.” On the other hand, the source has the impression that Aniston contained different views- “Constant scrutiny of Jen’s personal life, including whether she would ever find her happily ever after, played a huge role in her marriage to Justin.” All in all, Aniston and Theroux seem to have enjoyed their time while it lasted, although some may argue that this lack of congruence from the start may have proved their celebrity break-up inevitable. This celebrity break-up comes after some hesitation to get married in the first place. What are some ways to know you’re 100% ready for marriage? Celebrity couple Jennifer Aniston and Justin Theroux celebrated Christmas together, despite rumors of a celebrity divorce. Though the couple doesn’t spend a lot of time together, a close friend revealed to UsMagazine.com that the two were weekend lovers. In between shootings of both their projects, Aniston would fly up to New York City to visit husband Theroux. Aniston spent time alone in L.A., her west coast preference the driving force for some independent time, but the the couple is reportedly still going strong. This celebrity couple isn’t headed for Splitsville, despite rumors. What are some ways to keep gossip from affecting your relationship? …Click to read more love advice from Cupid’s Pulse! Justin Theroux opened up recently about his discreet celebrity wedding with wife Jennifer Aniston. This celebrity couple tied the knot back in 2015 in a private gathering at their L.A. home. Guests who attended this ceremony included John Krasinski, Emily Blunt, Lisa Kudrow, Howard Stern, and more. As an attempt to keep the wedding a surprise, guests were told they were attending a birthday party for Theroux. According to UsMagazine.com, Theroux told The Daily News that planning this wedding wasn’t easy. “I wouldn’t say it was fun to plan. Part of the fun of planning a wedding is telling people, and we had to keep it under wraps,” said Theroux. When opening up to ETOnline.com, Theroux explained the benefits of having a private wedding. “It’s so much more special when it’s just your closest friends and family and it’s lovely. [Aniston and I] wanted it to be a peaceful environment, you don’t want it to be hectic.” This celebrity couple will celebrate their second wedding anniversary on August 5. The celebrity wedding of Jen and Justin was definitely peaceful. What are some ways to affect the mood of your wedding festivities? Jennifer Aniston has always been in celebrity news when it comes to her love life. But she’s done batting away rumors and correcting celebrity gossip. According to EOnline.com, in her Huffington Post essay, she writes, “This past month in particular has illuminated for me how much we define a woman’s value based on her marital and maternal status.” Ever since she’s been half of a celebrity couple, Aniston has dealt with tabloids and paparazzi getting in her business. She continues, “The sheer amount of resources being spent right now by press trying to simply uncover whether or not I am pregnant (for the bajillionth time… but who’s counting) points to the perpetuation of this notion that women are somehow incomplete, unsuccessful, or unhappy if they’re not married with children.” Tired of all of the criticism directed at her and other women among her, Aniston proves that celebrities are people too. According to celebrity news, this star is definitely not expecting! What are some ways to keep the pressure to have kids at bay? This celebrity news will melt your heart. Justin Theroux revealed that he is constantly telling Jennifer Aniston that she’s beautiful, according to UsMagazine.com, and not for cheesy reasons, either. The celebrity couple plan to keep their relationship private, but it’s easy to see the love between these two when they’re out together! It’s amazing to see their celebrity love towards one another, especially amid all the divorces and break-ups that have been going on. This celebrity news is heartwarming! What are some ways to make your partner feel special? Will Jennifer Aniston Change Her Name Post-Celebrity Marriage to Justin Theroux? Recently married celebrity couple Jennifer Aniston and Justin Theroux have been receiving questions about whether or not the actress plans to change her last name. According to UsMagazine.com, following their celebrity marriage in August, Theroux joked around in an interview with Extra, “I made her change both names, so she’s now Justin Theroux.” He also added, “I think ‘Aniston’ is going to stick with her if she likes it or not.” So it’s safe to say that the former Friends star’s well-known moniker will still be around in spite of her recent celebrity marriage! In other news, the famous couple have been enjoying being newlyweds, especially with their celebrity honeymoon in Bora Bora. It doesn’t look like this celebrity marriage is sparking a name change. What are some factors to consider when it comes to changing your name post-marriage? After tying the knot in secret on Aug. 5, famous couple Jennifer Aniston and Justin Theroux have returned to work not even a month after their celebrity wedding ceremony. 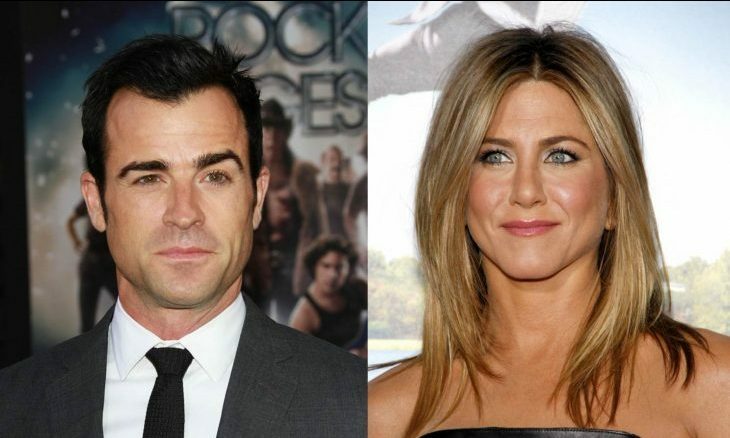 According to UsMagazine.com, Aniston started filming her new movie Mother’s Day in Atlanta, while Theroux continued shooting his HBO show The Leftovers in Texas. The married celebrity couple were both spotted showing off their impressive wedding bands on each of their sets. They spent their celebrity honeymoon in Bora Bora with fellow stars Jason Bateman and Jimmy Kimmel. This married celebrity couple is back to reality! What are some ways to smoothly transition into married life? …Want to see what other stars have been up to? Click here! The latest celebrity news has been brimming with romance gossip. Recently, these famous couples have made headlines for their relationships and love, whether it be Jennifer Aniston’s secret celebrity wedding, Caitlyn Jenner’s budding romance, or Elizabeth Olsen’s new beau. Check out my predictions for the three celebrity couples below and find out what’s next in their love lives!